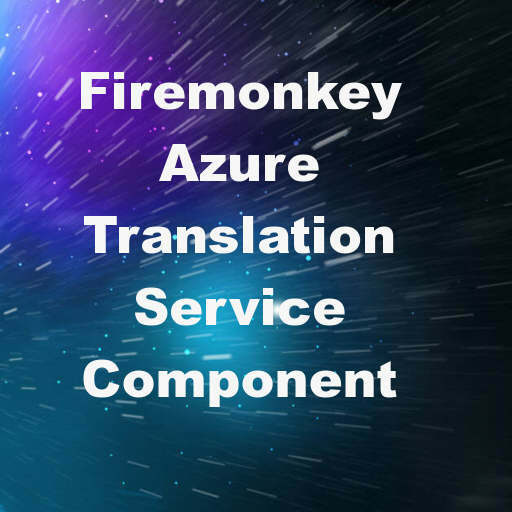 Developer Stephen Ball from Embarcadero has released a component that uses the Microsoft Azure Translation service to provide in app translations in Delphi XE8 Firemonkey. There is a full blog post explaining the process of getting an Azure account for the service and then utilizing the API. You should be able to use the code from the demo and the component on Android, IOS, OSX, and Windows. The Translation service utilizes OAuth2 so the blog post shows how to integrate an OAuth2 authentication system into Delphi Firemonkey. The demo uses TRESTClient to implement the connection to the Azure service. Once you successfully authenticate with the service you can start running translation requests. Finally the entire process is wrapped up in a component which you can drop into your own app and start using the Azure translation service with very little coding. Full source code is provided for the component and the demo. You should be able to use the demo and component in Appmethod as well. Head over and read the full blog post about using the Azure Translation API from Delphi XE8 Firemonkey.